Amnesty International supports schools and their wider communities in all regions of the world to build a global culture of human rights. Human Rights Friendly Schools aim to empower young people and promote the active participation of all members of the school community to integrate human rights values and principles into all areas of school life. The Human Rights Friendly Schools approach encourages and supports the development of a global culture of human rights by empowering young people, teachers and the wider school community to create human rights friendly school communities across the world. Participating schools work towards developing a whole-school approach to human rights education, integrating human rights values and principles into key areas of school life. Human Rights Friendly Schools reach beyond the classroom and out into the community to change the way people think about, and actively participate to address, human rights issues. It is founded on the belief that by increasing knowledge and changing behaviours and attitudes in entire communities, a global culture of human rights becomes possible. A Human Rights Friendly School is founded on principles of equality, dignity, respect, non-discrimination and participation. It is a school community where human rights are learned, taught, practised, respected, protected and promoted. Young people and the school community learn about human rights by putting them into practice every day. Through an approach which goes beyond the classroom and into all aspects of school life, commonly called a ‘whole-school approach,’ a ‘holistic approach’ or ‘rights-based approach,’ both schools and young people become powerful catalysts for change in their wider communities. 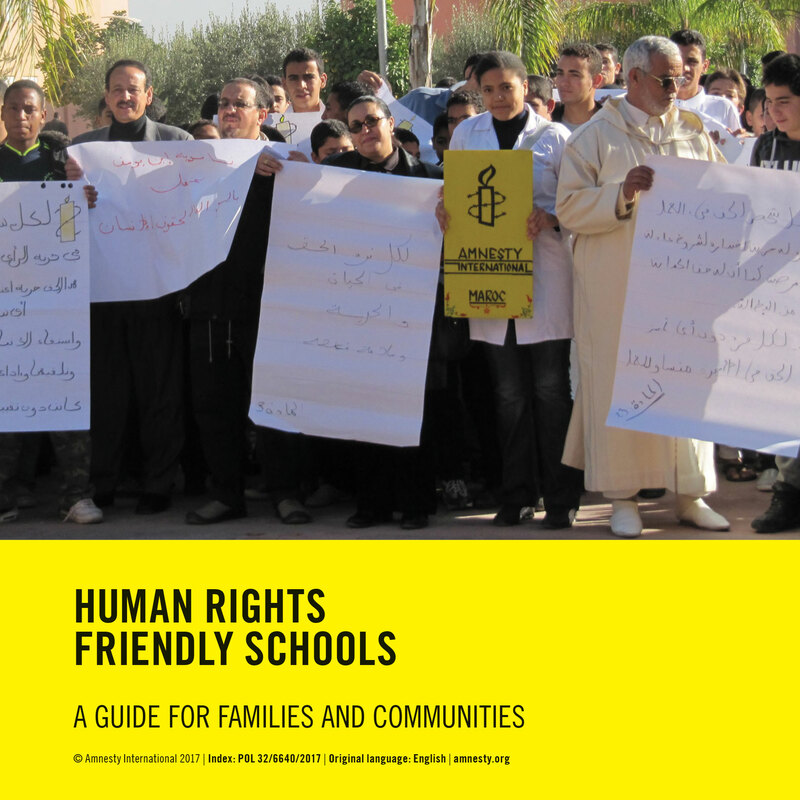 Amnesty International’s Human Rights Friendly Schools project started in 2009 in 14 countries: Benin, Cote d’Ivoire, Denmark, Ghana, Ireland, Israel, Italy, Moldova, Mongolia, Morocco, Paraguay, Poland, Senegal and the United Kingdom. Today, the network of schools aspiring to become human rights friendly continues to expand, and currently covers 22 countries around the world.